In response to neighborhood concerns, the Board conditioned the zoning variance on several limitations meant to reduce the risk of excess noise and increase pedestrian safety. On October 16, 2016, the Board of Standards and Appeals approved with conditions a request by The Chapin School, Ltd. for a zoning variance to construct a three-story addition to its existing school, located at 100 East End Avenue on the Upper East Side of Manhattan. The Chapin School, a unisex school serving 750 female students from kindergarten through 12th grade, sought the variance to build a new gymnasium and play roof onto its existing, decade-old building. 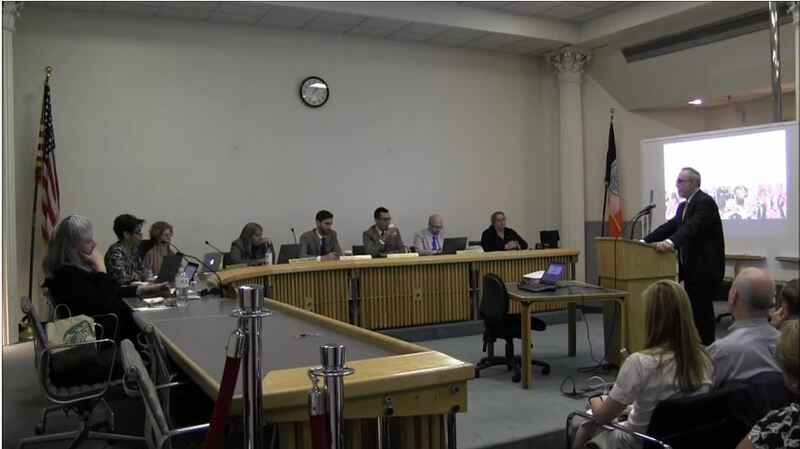 The Board held a public hearing on May 12, 2015, with follow-up hearings on July 14 and September 1, 2015. At the May 12th hearing, Howard Goldman, of Goldman Harris LLC, testified as the legal representative for The Chapin School. According to Mr. Goldman, two of the newly constructed stories would be devoted to the gym itself and “athletic support space accessory to the gym,” while the additional floor would provide the school with space dedicated to performing arts. Further, Mr. Goldman testified that the proposed gymnasium represents the minimum size required by the National Federation of High Schools to qualify as a regulation-sized gymnasium. Patricia Hayot, the Head of The Chapin School, testified to the importance of the proposed gymnasium’s compliance with the minimum size requirements established by the National Federation of High Schools. According to Ms. Hayot, compliance would enable the School to host tournaments, which is important because it allows the School to maintain the “home-court advantage,” as well as “a sense of spirit” in the School community. Paul Drago, principal at NK Architects, testified to the technical specifications of the project, which includes a rooftop activity space. Jesse Masyr, partner at Fox Rothschild LLP, testified on behalf of 90 East End Avenue, the immediate neighbor to the south of The Chapin School. Mr. Masyr testified to the neighbors’ concerns about the community impact, such as the potential negative impact to the community’s safety. “While Chapin says it’s not increasing its population of the student body, it is, however, by creating this gymnasium, by its own admission, increasing the population that will be coming to the site,” said Mr. Masyr. BSA: 100 East End Avenue (260-14-BZ) (Oct. 16, 2016) (Goldman Harris LLC, for The Chapin School, Ltd., owner).